The fashion arena of any country plays a vital role as it echoes the culture, heritage and people of that particular country. As far as the Pakistani fashion industry is concerned every designer is striving to bring a true sense of fashion trends among the people. The next crucial step that all designers work towards is representing Pakistan on International platforms. However, the trending designs are a blend of South Asian and central fashion styles, with a touch of Islamic nuances. The boosting women's fashion domain in Pakistan vows to cater to the interest of women and promises to bring them the latest style. Mostly, Pakistani women like to wear shalwar kameez, kurtas and chooridaar pajama. This is so because they love to promote their culture and the Desi look, as many term it is always accepted in society as compared to the Western one. So what might be today's fashion may seem outdated tomorrow, that’s because the fashion industry transforms and changes at every hour of the day. So every woman wants to set a benchmark when it comes to fashion and wishes to be the first to get their hands on the latest styles in town. What's trending in women's fashion in Pakistan? An old friend of the women's fashion sphere is back with a bang! Short or medium length shirts are making their way back into the market and gaining immense popularity among the young section of the country. The word kurti or kurta has been coined for short length shirts, and is said to be the perfect outfit for women in all seasons. These knee length shirts are a shift away from the long and loose cuts that were an ongoing trend for years. These kurtis are paired with cigarette pants, which are straight from the top but narrow down at the ankles. 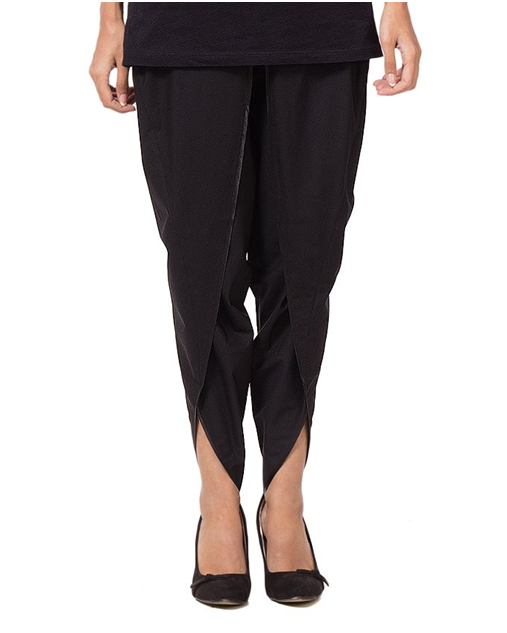 These pants are making it to the shelves of all designer brands and is a favourite among most women. Another seasonal choice for all women are lawn suits, that are manfactured in various prints. Lawn fabric, is originally weaved in linen using fine yarn that results in a texture free surface.Lawn suits are the primary cloth that certainly grabs the attention of all women. The bold colours and flower prints have been the trademark of lawn suits since ages, but designers chose to bring a fresh change. This time around lawn suits are being designed in lighter tones with intricate embroidery patterns on printed cloths. Designers have lately introduced lawn suits with silk dupattas. Just as women always want something new at their dispose these silk dupattas with lawn suits happen to be the right option to satisfy their want. However, these silk dupattas happen to be a mix and match of the kameez material. But what is it that never goes out of fashion in lawn suits? The common block prints, flower designs and abstract prints are available at every lawn exhibition. The reason behind this trend is that it caters to older age bracket, as these women like to stick to their old prints. The shalwar and kameez have been best friends since centuries, but the trend of wearing a shalwar has vanished. Recently, tulip pants have slipped into the fashion market. Fashion designers have brought simple and embroidered tulip pants for the young segment. 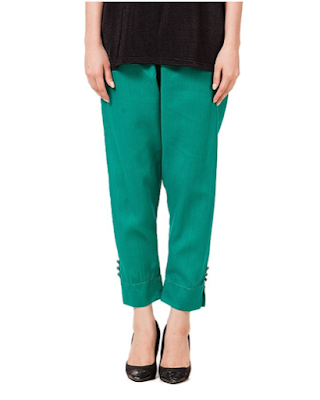 The bottoms of these pants are a classic design and in line with the traditional attire that most women love wearing. These pants have been introduced in different colours and prints as well. Some women dislike one coloured kameezs and the traditional prints also are less appealing these days. But digital prints have caught the attention of women. 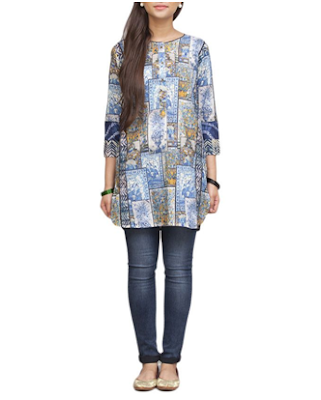 The vibrant colours and creative designs of digital prints have turned out to be a fond design for women. Since it has been already established that shalwars have turned obsolete in the fashion industry, capris are now the alternative. Capris also known as three-quarter pants, is a contemporary wearing with kurtas. This gives women a stylish and traditional look. Even so slender embroidery designs related to nature such as birds and leaves is a trend in the women's fashion market. In addition, printed kameez with plain one coloured sleeves is also a growing trend. So you can update your wardrobes by shopping online in Pakistan, and re-create a new look for yourself. Its much easier to shop online for clothing, thanks to Daraz.pk. Love the wide range of clothing and other stuff they have on the site. Great post. Great post huda. This gives a lot of choice to mix and match according to our ease. Now a day there are so many options for every one and thanks to online shopping, you can get your hands on any thing easily.